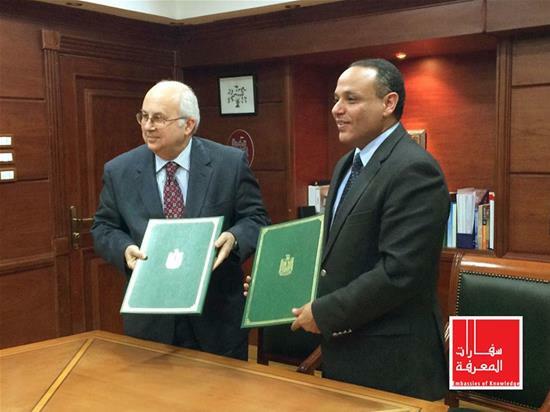 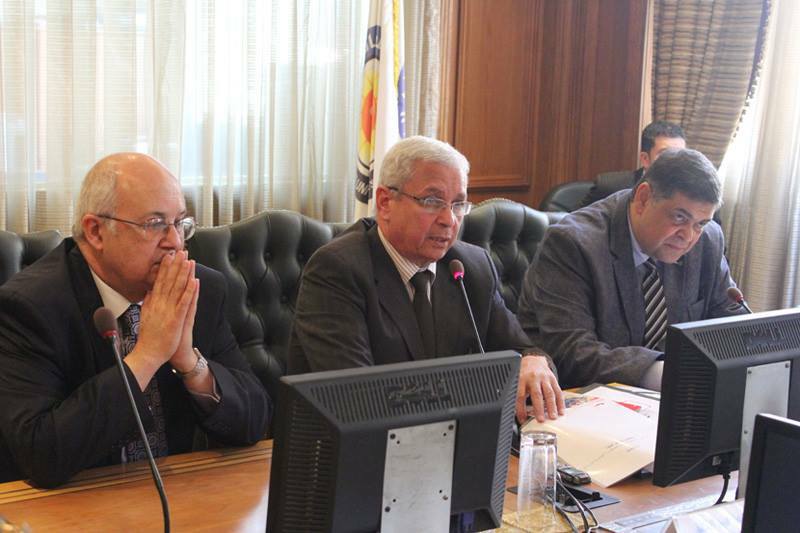 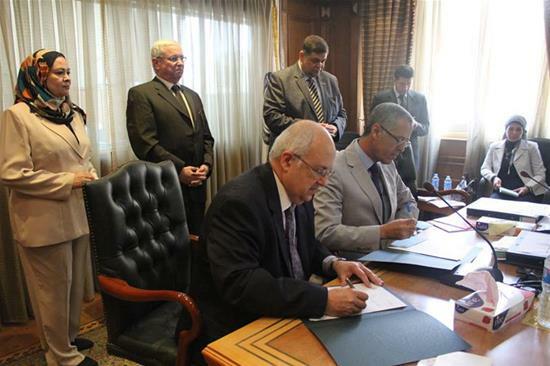 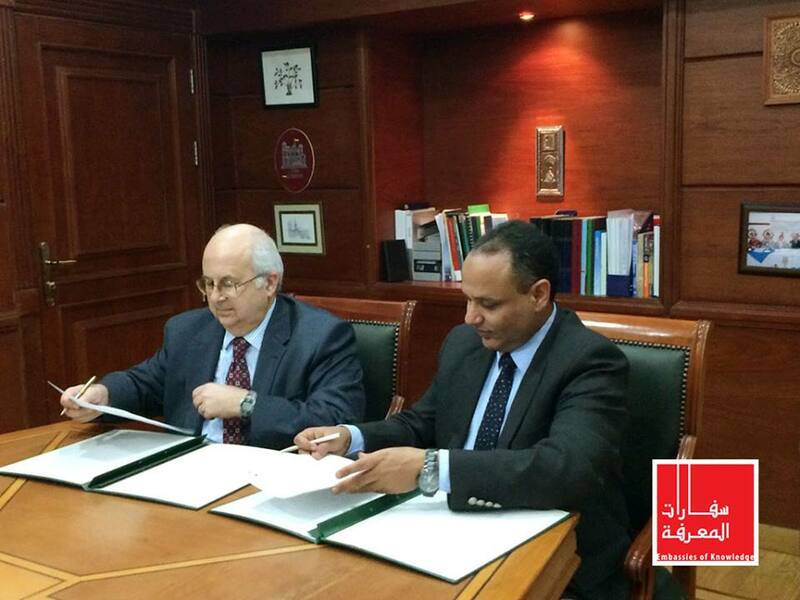 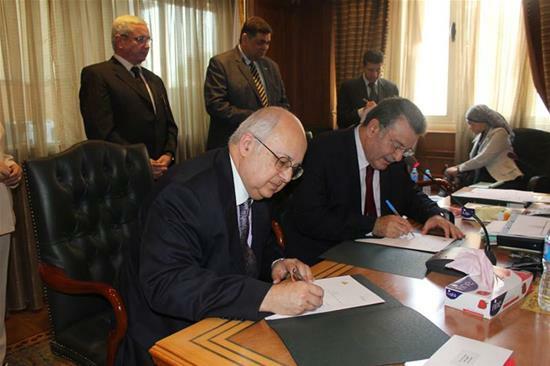 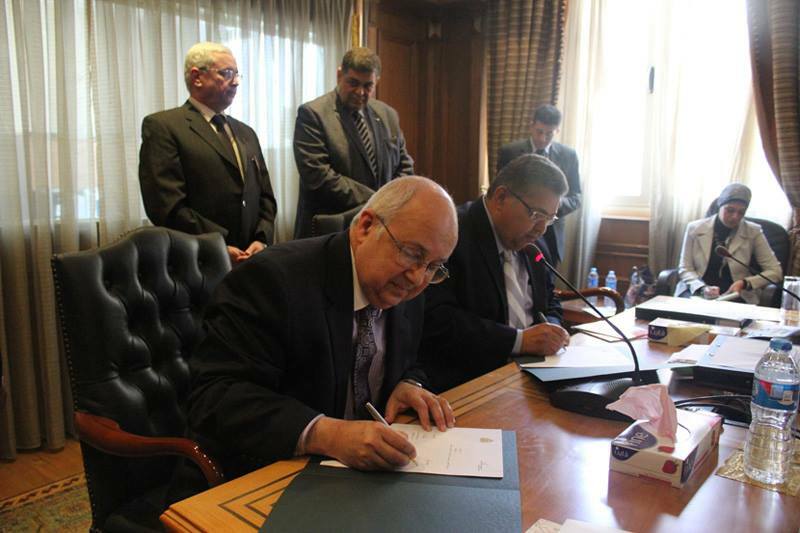 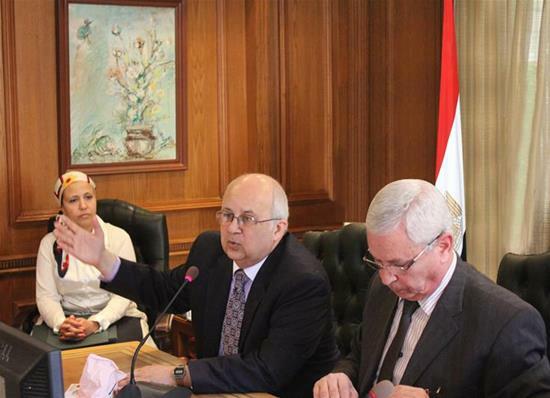 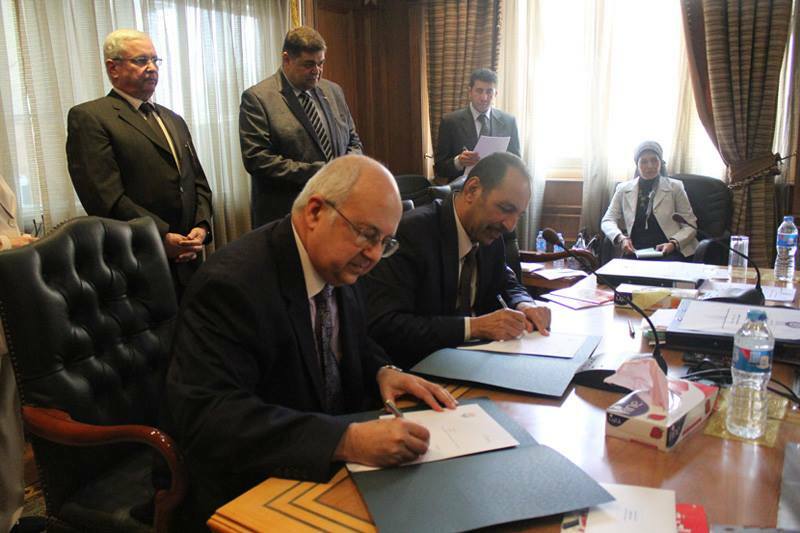 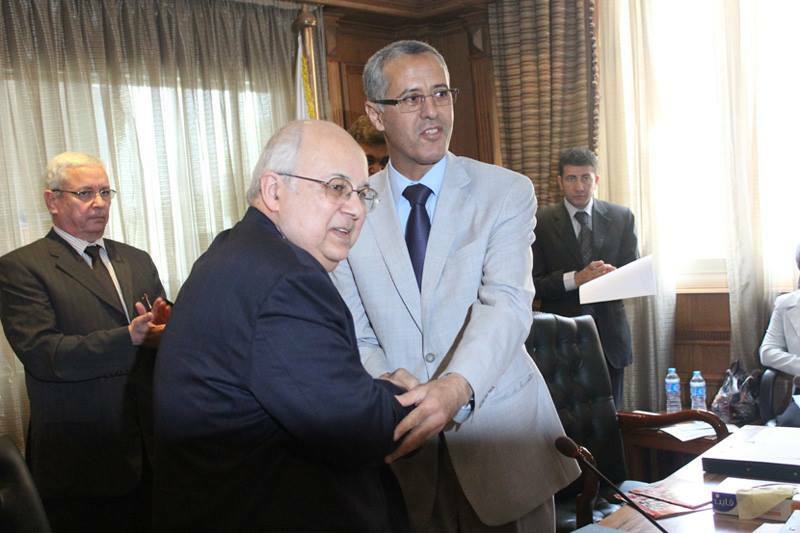 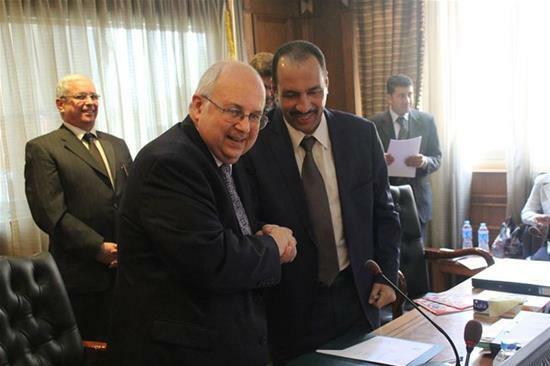 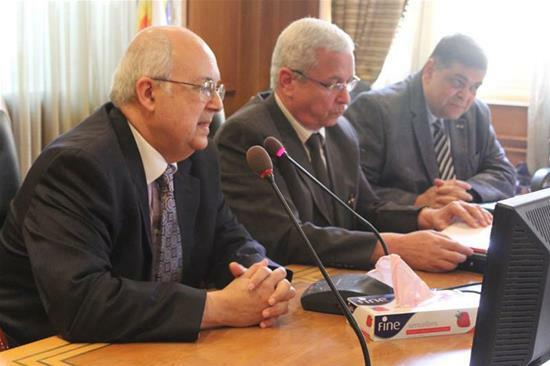 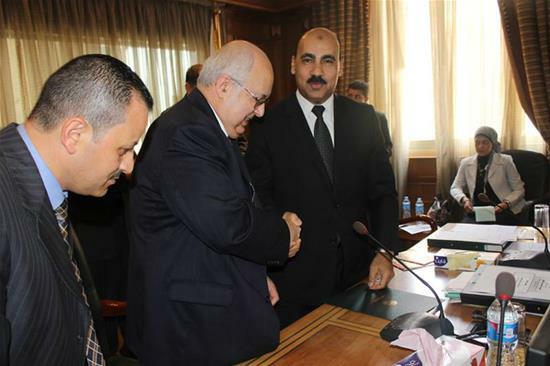 Dr. Ismail Serageldin, Director of the BA, and Dr. Mahmoud Sakr, President of the Academy of Scientific Research and Technology, sign a collaboration protocol to establish six Embassies of Knowledge at the Academy’s regional branches in Arish, Ismailia, Zagazig, Tanta, New Valley, and Sohag. 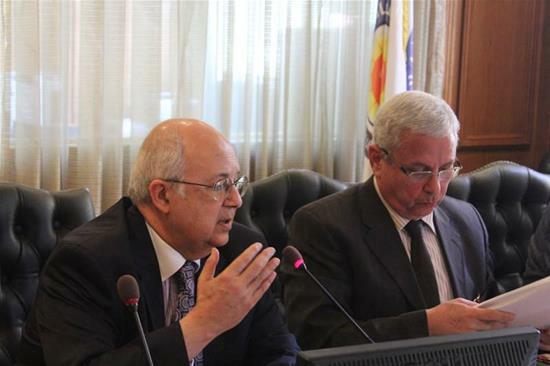 Dr. Ismail Serageldin, Director of the BA, and Dr. Mahmoud Sakr, President of the Academy of Scientific Research and Technology. 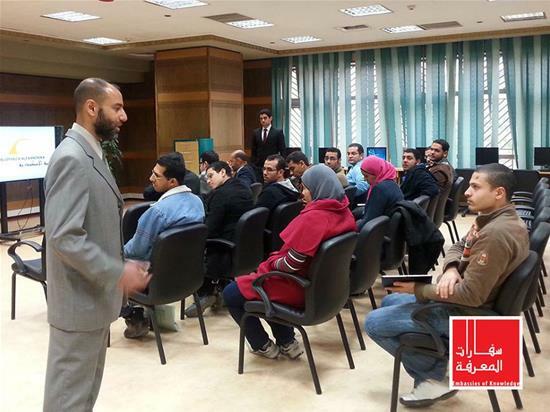 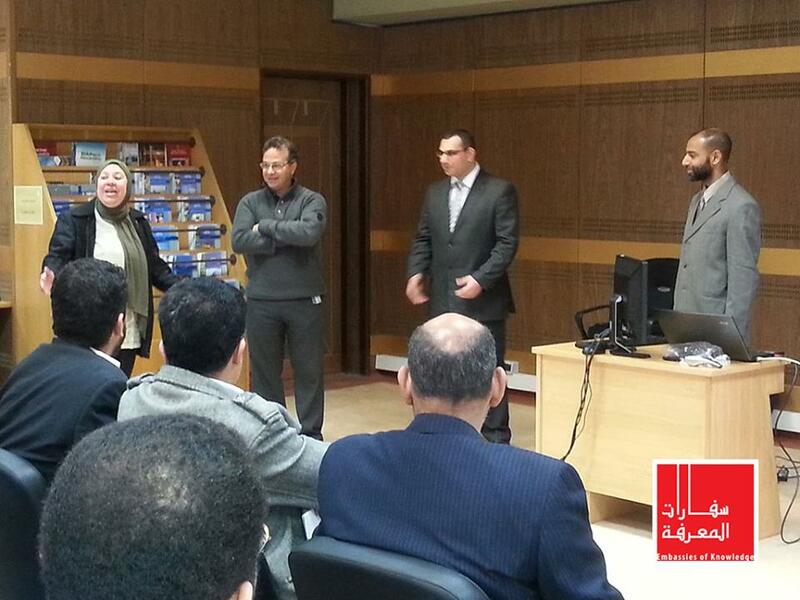 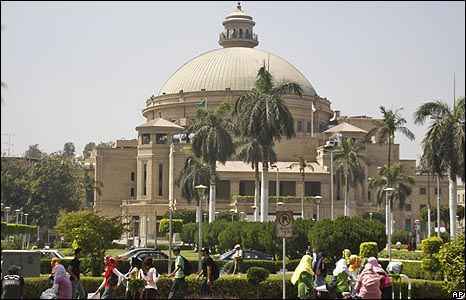 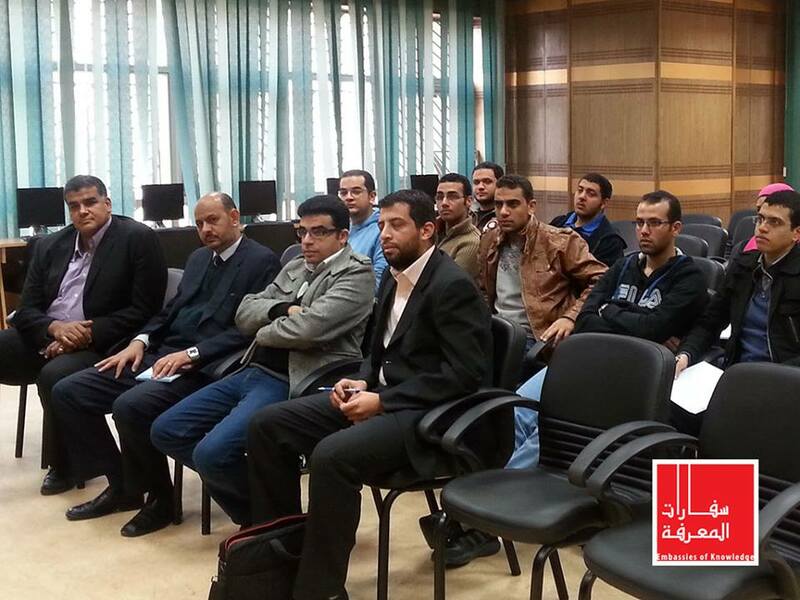 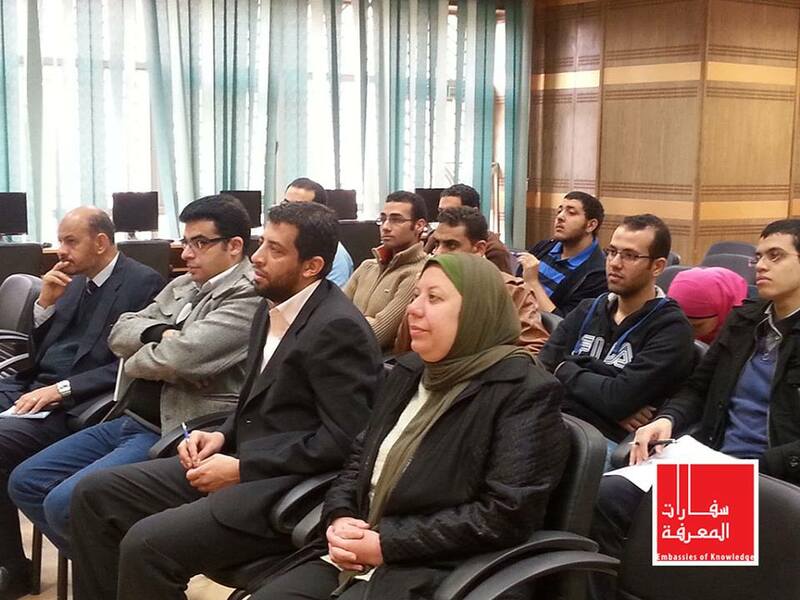 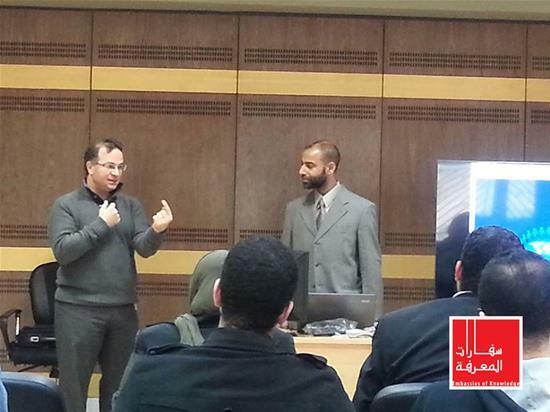 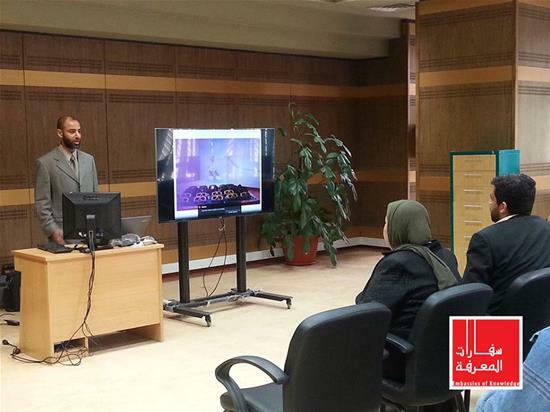 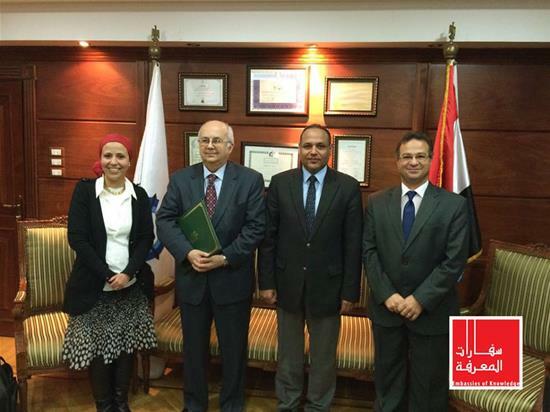 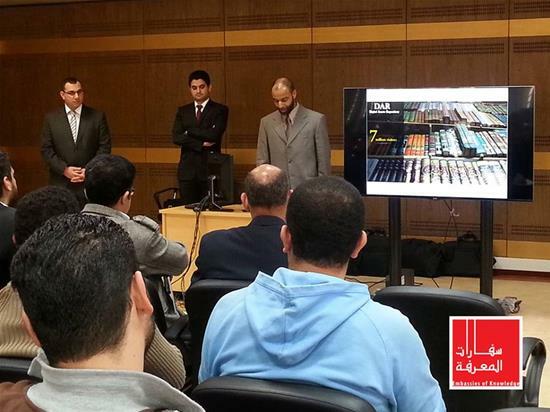 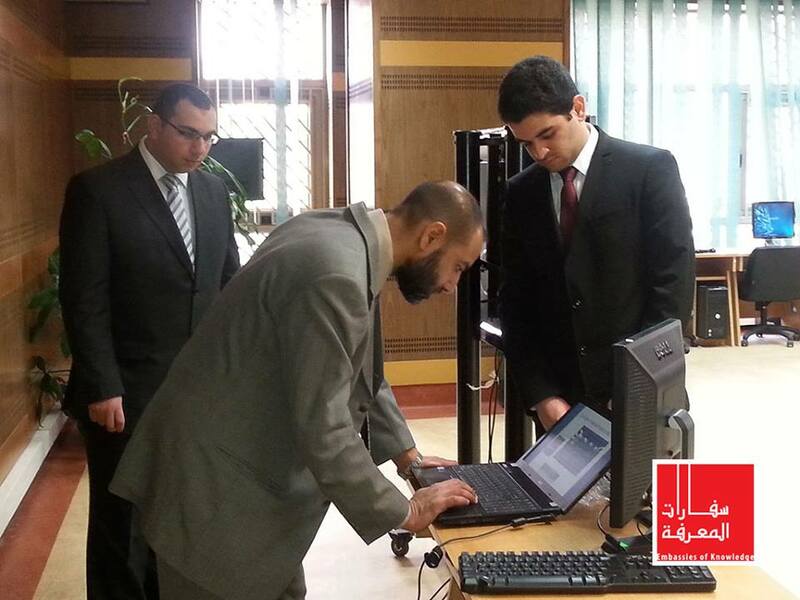 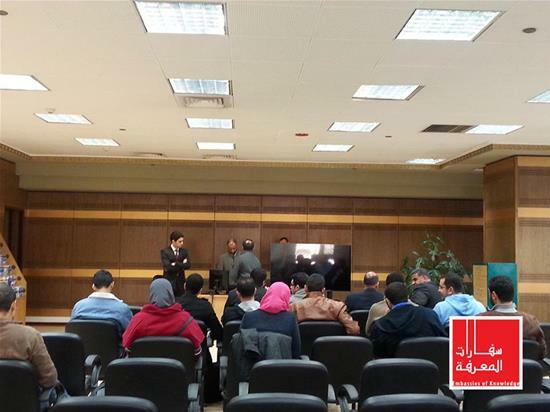 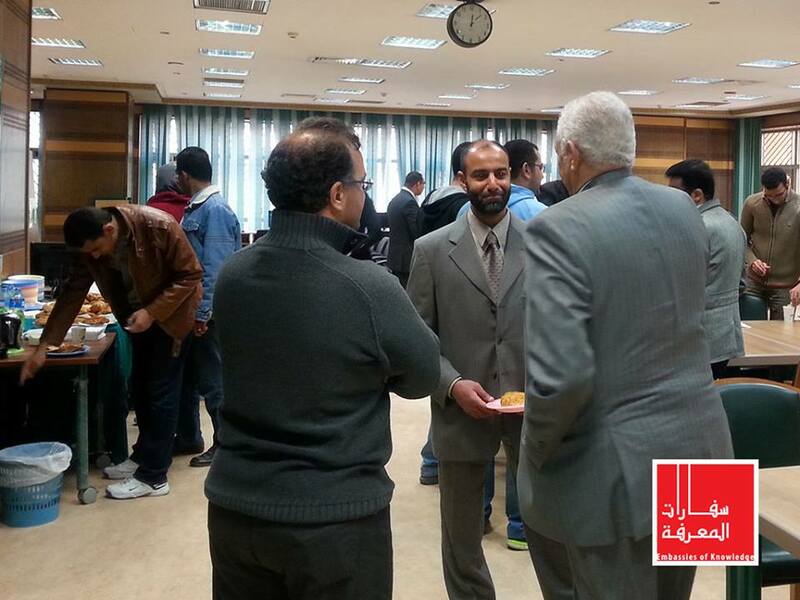 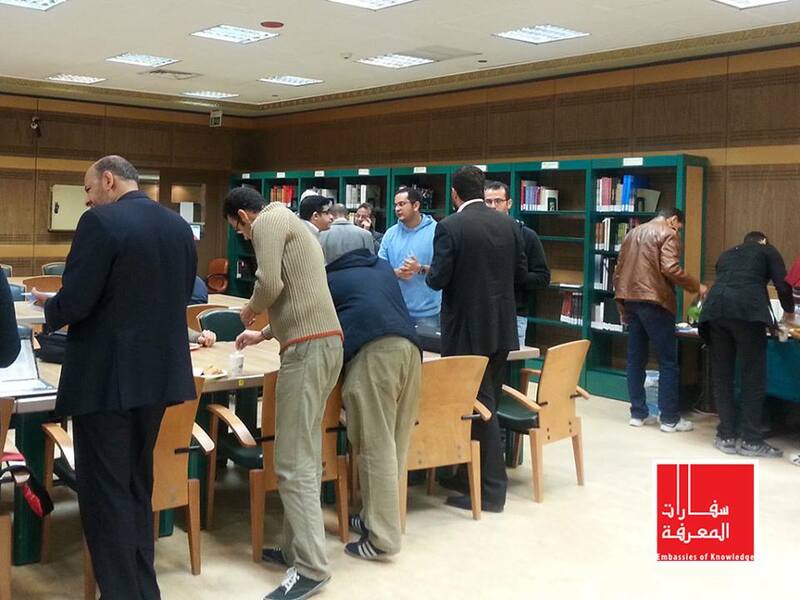 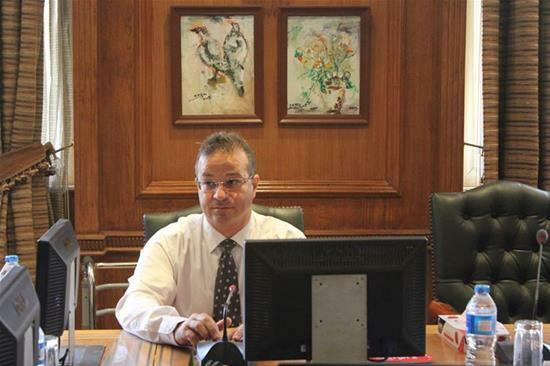 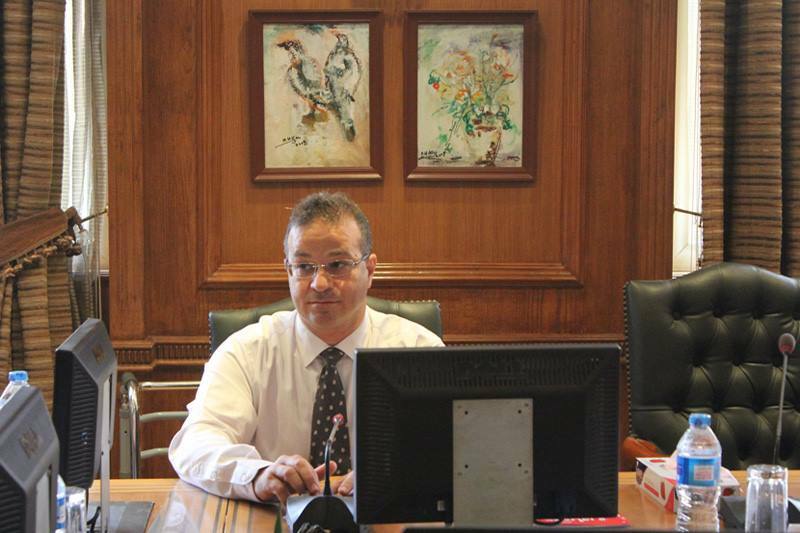 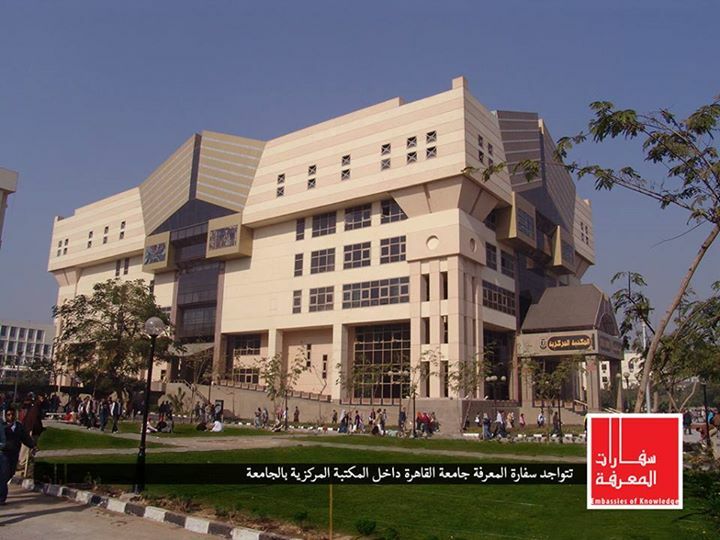 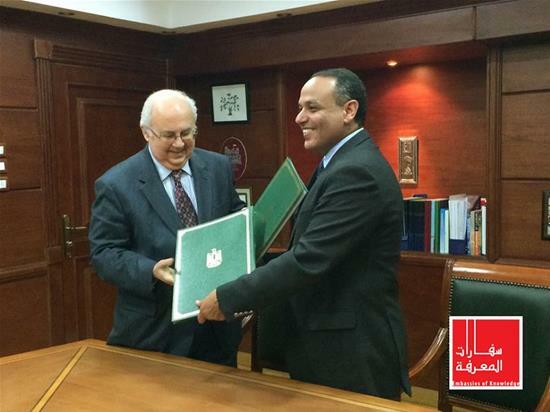 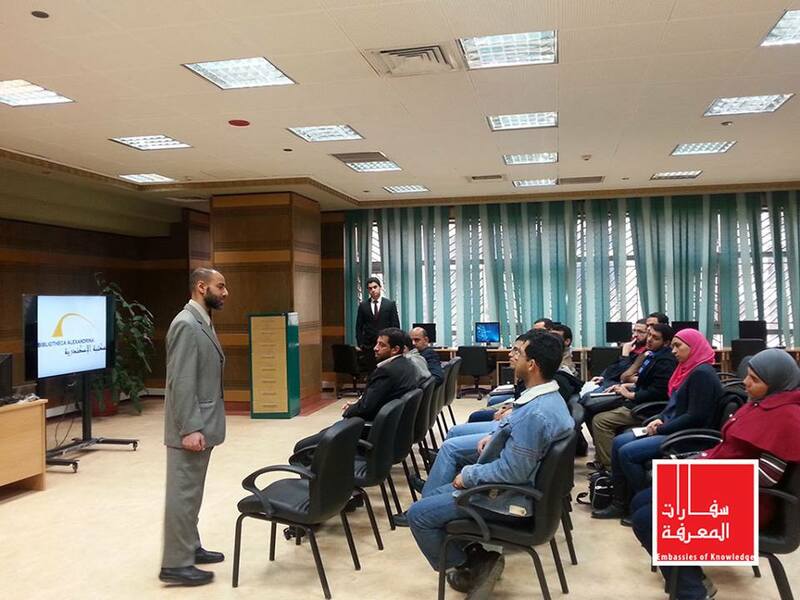 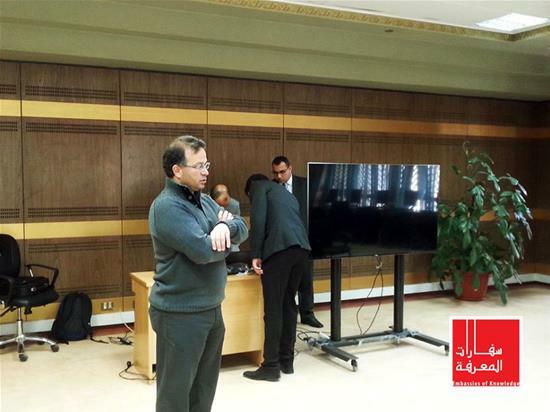 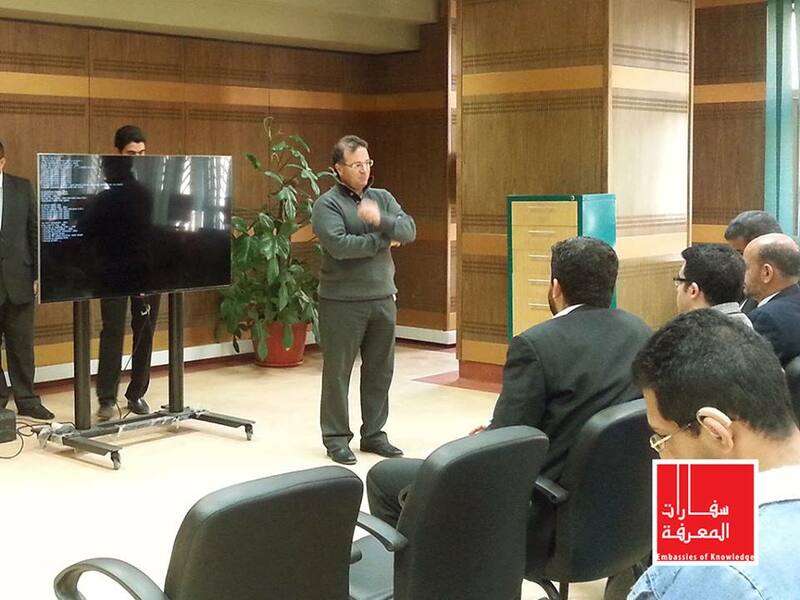 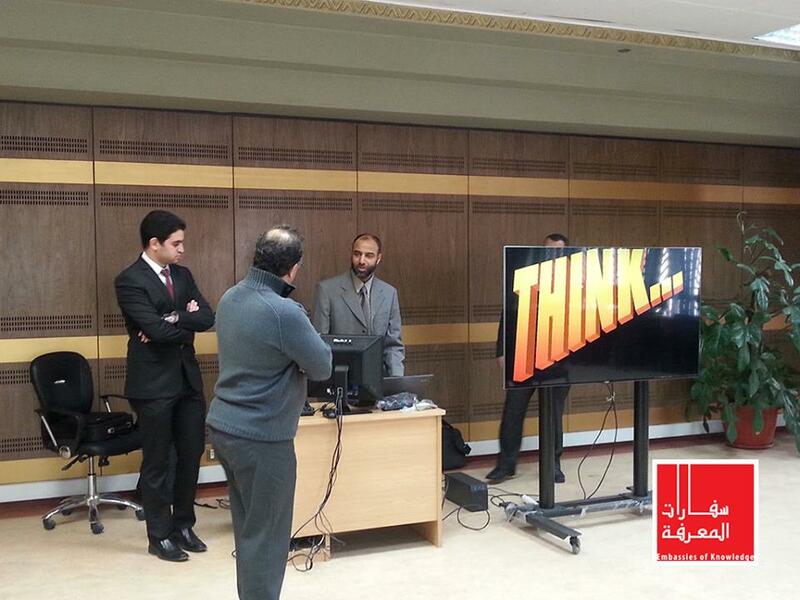 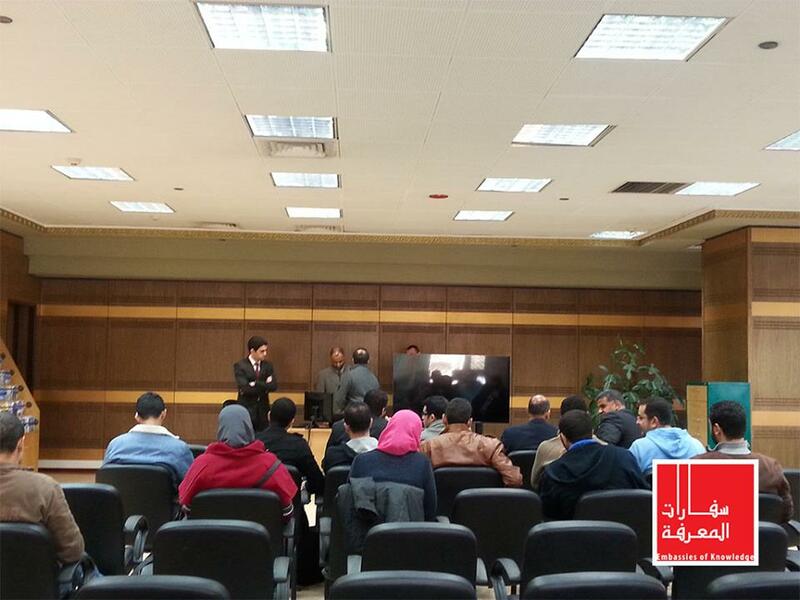 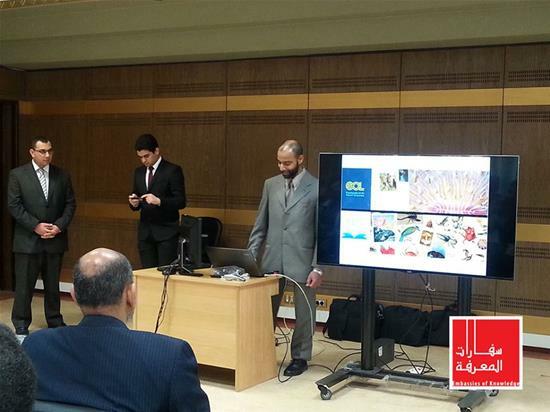 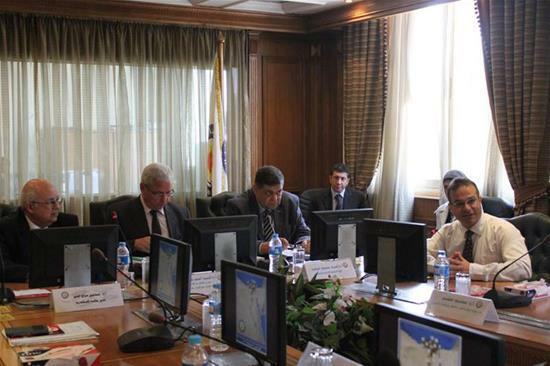 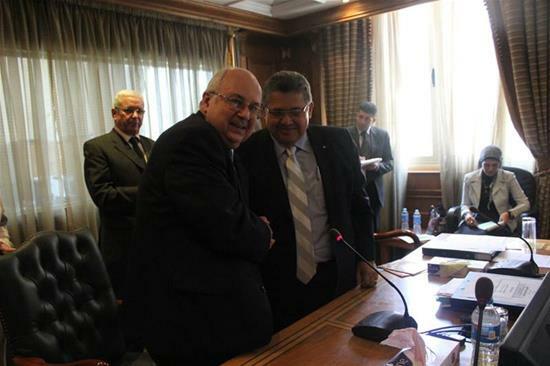 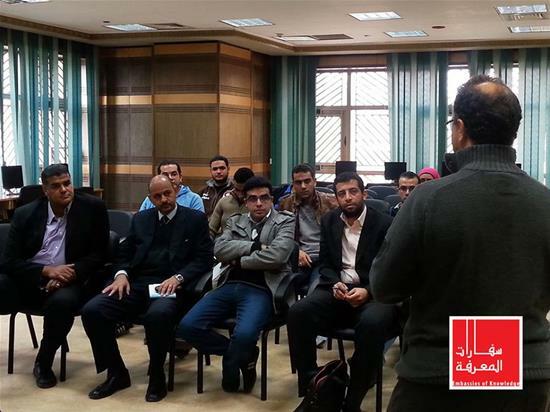 Cairo University inaugurates an Embassy of Knowledge at its central library in cooperation with the BA.